Baxter has forged a $246m alliance with Coherus Biosciences to develop a biosimilar version of Amgen and Pfizer's big-selling arthritis and psoriasis drug Enbrel. The deal - with $30m in upfront fees and $216m in milestone payments - givers Baxter commercialisation rights in Europe, Canada, Brazil and certain other world markets to a biosimilar version of Enbrel (etanercept) currently in testing at Coherus. It also gives Baxter an option to expand the agreement to include another undisclosed biosimilar product that is "an alternative biosimilar to etanercept", according to Baxter. The alliance comes in the wake of the first recommendation for approval of a biosimilar monoclonal antibody product in the EU, namely Hospira and Celltrion's version of Johnson & Johnson's $2bn-a-year arthritis and Crohn's disease treatment Remicade (infliximab), which shows that the regulatory pathways for biosimilars are maturing. It also comes shortly after Teva and Lonza dissolved their biosimilar partnership, blaming the high level of investment required and the regulatory complexity of bringing them to market, although market research firm Visiongain expects the world market for biosimilars to reach $2.45bn this year and grow progressively through 2023. Baxter's first push into the biosimilars sector came in 2011 with a $452m deal with Momenta Pharmaceuticals for copies of six biologic drugs. 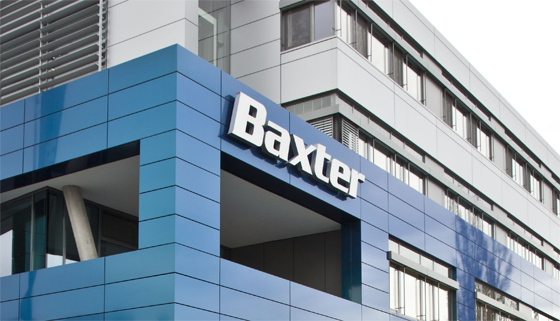 As of the start of the summer, Baxter had selected three products to take forward into full development, including M923 and MA34 for autoimmune and inflammatory diseases and cancer drug M511. The latest collaboration with Coherus "allows us to partner with a company that brings demonstrated capabilities with potential to support accelerated entry into the biosimilar market," said Ludwig Hantson, president of Baxter's BioScience business. Baxter is not the only company vying to bring a biosimilar version of Enbrel to market. In May Novartis' generic subsidiary Sandoz started a phase III trial of its own version of the drug, which brought in sales of $4.2bn for Amgen and $3.8bn for Pfizer last year, while Merck & Co/Hanwha Chemical is also working on an Enbrel copy. Meanwhile, questions remain about the longevity of Amgen's patent protection for Enbrel, which was due to expire in the US last year but was extended until 2028 at the end of 2011.